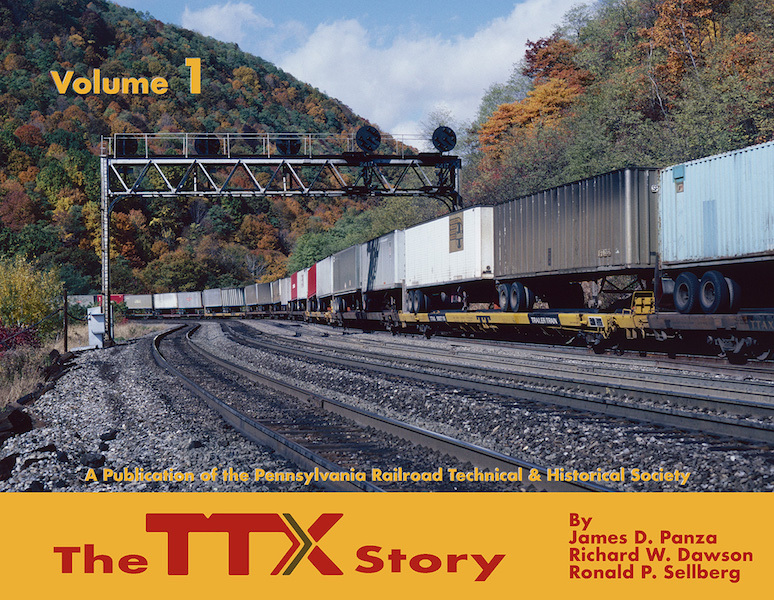 Dear Customers: One of our customers dropped into the office on Saturday and asked us to order a new two volume book set that is being published by the Pennsylvania Railroad Technical & Historical Society about TTX. This would be a great set for anyone who likes TOFC, auto rack, Railbox, Railgon, and special equipped railcars. The Pennsylvania Railroad and Rail-Trailer Co. formed Trailer Train Co. in 1955 to expand piggyback service amongst the nation's railroads. PRR intially managed TTX, which expanded its ownership to 41 railroads. The 62-year journey started with 500 flatcars in 1956 and grew to over 161,000 cars (TOFC, auto rack, Railbox, Railgon, and special equipped) today. 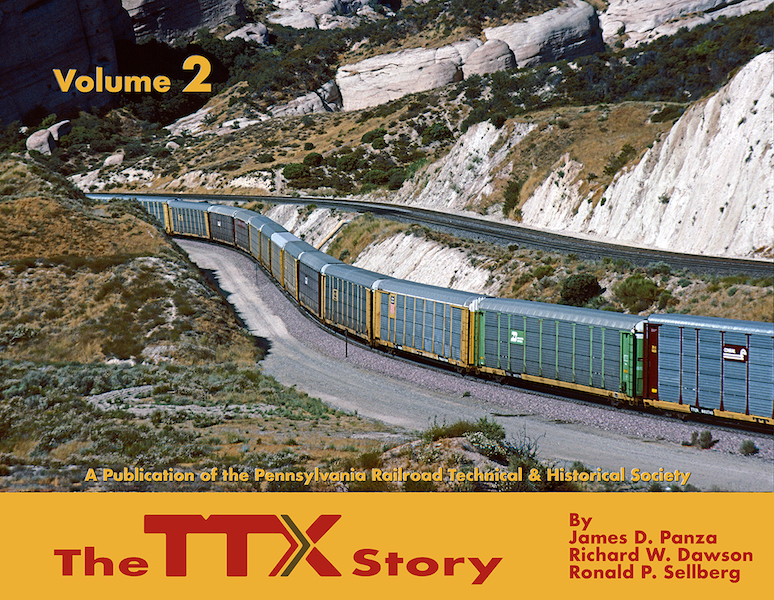 The authors, combined, have over 90 years of service with Trailer Train/TTX. They present much "insider" information on company decisions, car design, and the shift to container intermodal service. The books are hardbound, all-color, horizontal format, and total 624 pages.